Balsamic vinegar - What is Balsamic vinegar? Black rice vinegar - What is Black rice vinegar? Cane vinegar - What is Cane vinegar? Champagne vinegar - What is Champagne vinegar? Cider vinegar - What is Cider vinegar? Coconut vinegar - What is Coconut vinegar? Corn sugar vinegar - What is Corn sugar vinegar? Distilled vinegar - What is Distilled vinegar? Flavored vinegar - What is Flavored vinegar? Fruit vinegar - What is Fruit vinegar? Herb vinegars - What is Herb vinegars? Malt vinegar - What is Malt vinegar? Red rice vinegar - What is Red rice vinegar? 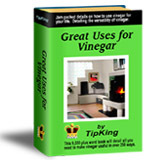 Rice Vinegar - What is Rice Vinegar? Sherry vinegar - What is Sherry vinegar? Spirit vinegar - What is Spirit vinegar? Umeboshi vinegar - What is Umeboshi vinegar? White rice vinegar - What is White rice vinegar? Wine Vinegar - What is Wine Vinegar?